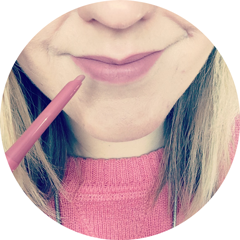 First of all a big thank you to Gem for this fab idea - she is doing a weekly "Bloggers Share The Love" series over on her blog Gem Seren Beauty, so do go check it out! Unfortunately I don't think I'm organised enough to do this weekly, so for the meantime I'll do a monthly round up of what I've been loving blog wise! 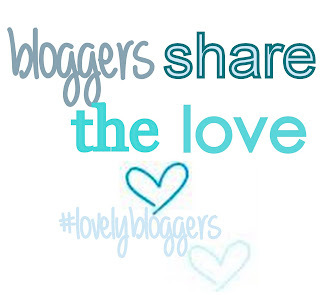 The idea of this post is to share my favourite posts, favourite finds and great giveaways. I love reading these sort of posts as I think it's a great way to discover new blogs and support our fellow bloggers! At the moment I'm not subscribed to any beauty boxes (I didn't even know they existed until I started blogging! ), but if I decide to start a subscription then I will certainly go back to this post first! The post gives a rundown of prices, where to buy, pros, cons, customer service and a final verdict. Brilliant! I really enjoyed reading this and will definitely be using the tips in this post! It also reminded me that I must order some of Kia's Moonie face cloths - I really, really want to try them. I found this post so helpful. I hate my eyebrows thanks to an unfortunate DIY overplucking incident in my early teens and they have never fully recovered. However thanks to this post I'm thinking maybe there IS something I can do to fake better shape and definition, and ultimately feel a lot happier about them. I love this blog by the gorgeous Meg. She writes great quality posts, which are a mixture of beauty and fashion, plus she does videos too! I particularly like her "Lust Haves and Must Haves" posts. I have already mentioned her blog in this post, but I started following the lovely Gem's blog early in the month of August and especially love her NOTDs and nail art posts! They have inspired me to get much more creative with my nails! I love reading Helen's honest reviews, she writes in a friendly, chatty style that really shows her personality. I love how she does a "they say", "I say" and sometimes "the boyfriend verdict" in her posts - brilliant! Wow there are so many great giveaways running at the moment, it's hard to choose just a few! Here's two really generous giveaways that I would LOVE to win! The lucky winner will receive 3 Essie nail varnishes in the colour of their choice! Ends 14th September. A limited edition box full of a range of fab products by Stila, Antipodes and more! Ends 8th September. Hope you enjoyed this rather wordy post and hope you find a new blog to love! I just found your blog on a similar article (afraid I can't remember which one) and have now found a few more to read as well! Makeup Health Check - Time To Throw Away? My Guest Post Over At CSI Beauty Blog! I'm Impressed With... Primark Hairbrushes!